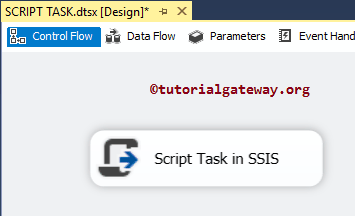 The SSIS Script Task provides an option to perform functions that are not available in the SSIS toolbox (both in built-in Tasks and transformations). 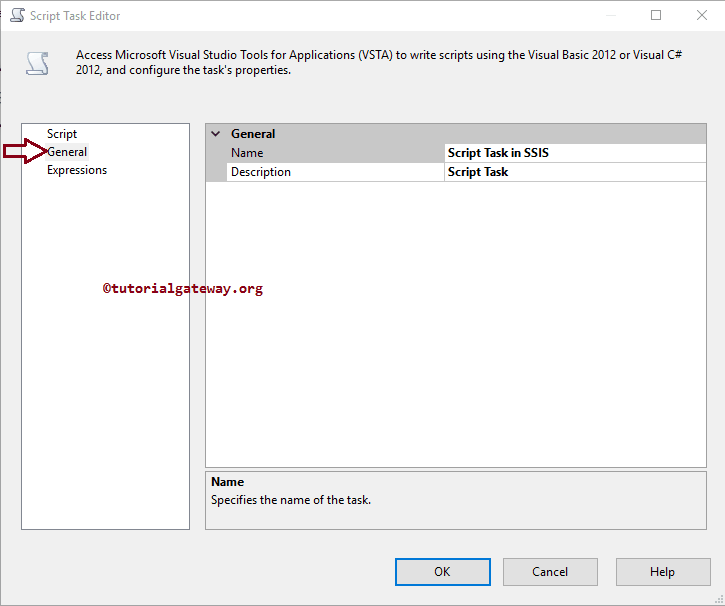 The SSIS script task uses the VSTA (Microsoft Visual Studio Tools for Applications) as the code environment in which you can write the C# or VB Script. 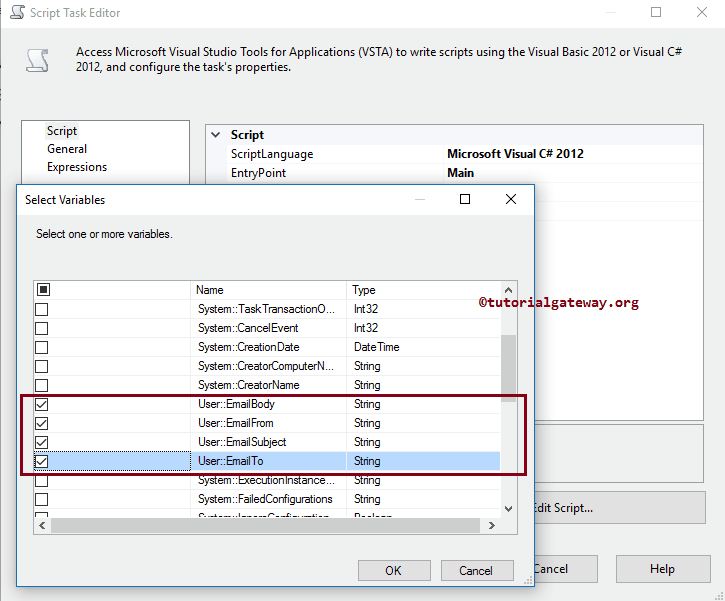 TIP: VSTA provides all the standard futures available in general Visual Studio Environment. 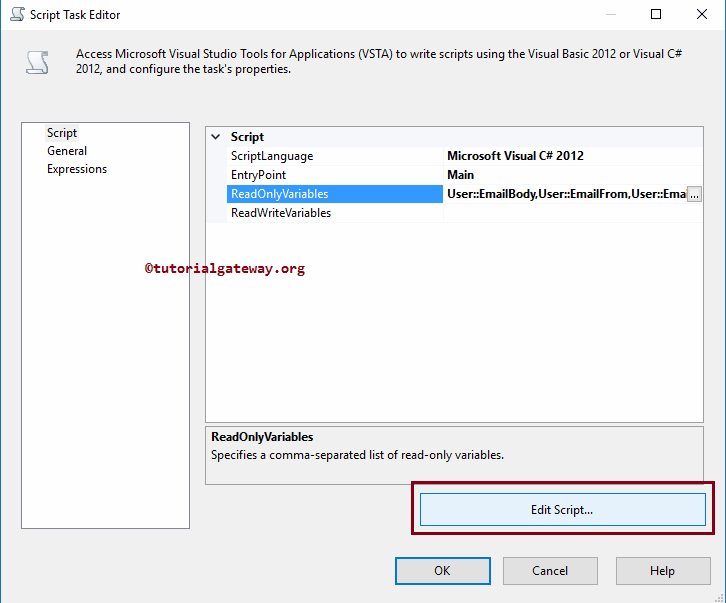 Before we start configuring the SSIS Script task, let us create four variables. In order to create a variable, right-click on the control flow region, and it will open the context menu to select the variable option. Once you select the variable option, it will open the new window called Variables to create the new variable. EmailFrom: Please specify the Email ID from where you want to send the Email. EmailTo: Please specify the Email ID to whom you want to send the Email. Please click on the General tab to change the default Name and Description. 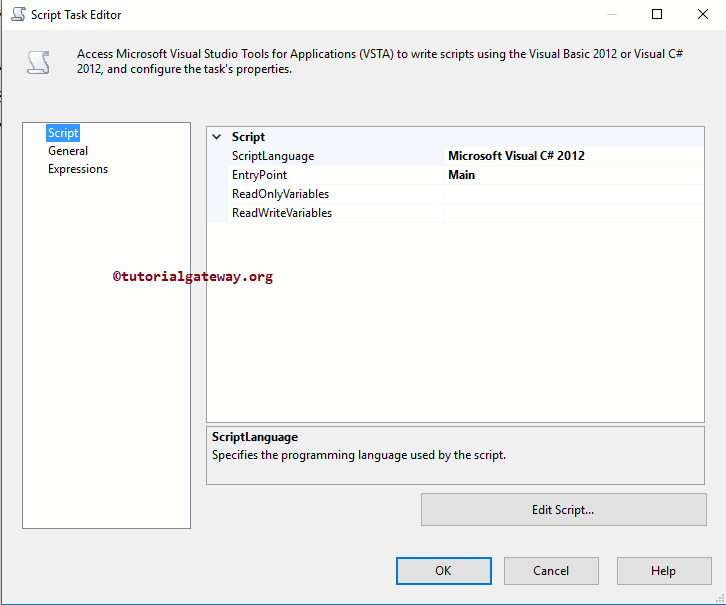 ScriptLanguage: Microsoft provides two of its famous languages: Visual Basic (VB), and C# to use as a scripting language. 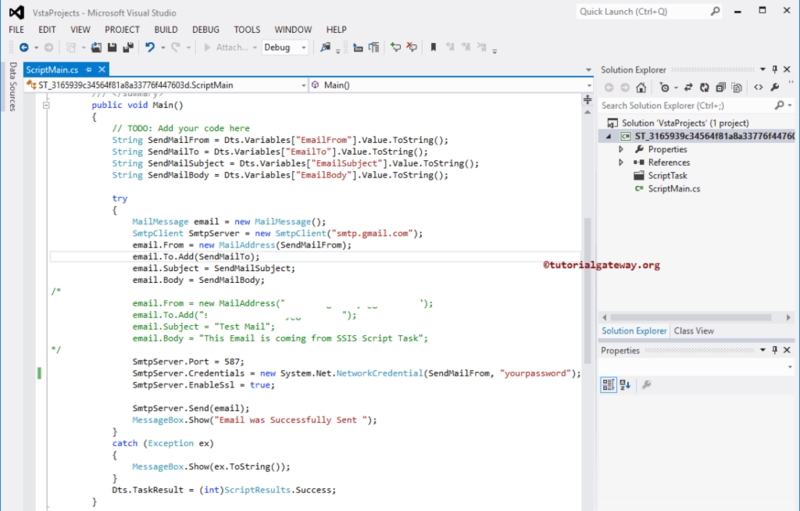 I am very much familiar with C# so, I am selecting C# as my script language. 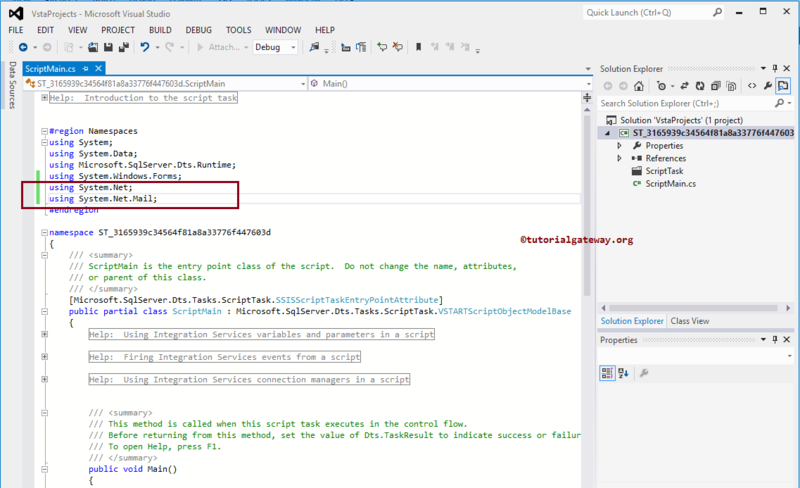 Once you click on the Edit Script, it will open the ScriptMain.cs class file to write the C# code. From the above screenshot, you can see that, we got the Email with the message we specified. 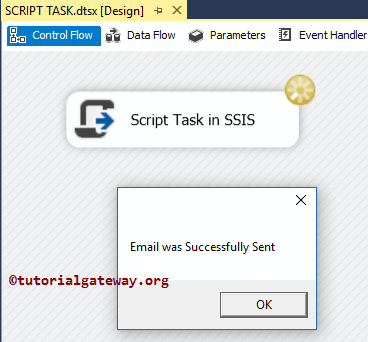 If you want to send an Email to your Manager (or to yourself) after every Data Load then, you can use this SSIS Script task along with Data Flow Task. Always use the Variables for storing Emails, Password, Subject, or SMTP credentials. If there is an Error stating Secure Connection then, Go To Less Secure Apps in your Gmail account settings and Turn on the Access for Less Secure Apps option.